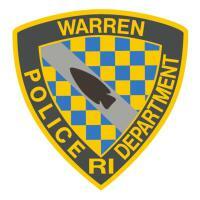 On February 27, 1888, the Warren Town Council adopted an Ordinance under Chapter 3, to establish a Police Force. This ordinance continued to be passed every year until the establishment of a permanent Police Force in 1905. Before the establishment of the permanent Police Force, the town was patrolled by Constables working under the authority of a Sergeant. 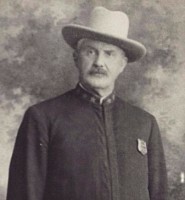 On Decemeber 8, 1902, the Council adopted an ordinance for the re-organization of the Police Force, abolishing the office of Sergeant of Police, and adding the Chief of Police. 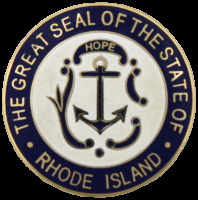 The office was more consistent with certain statutory provisions and conformed to a general practice throughout the State of Rhode Island during this time. 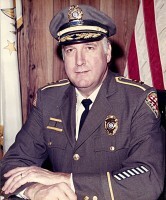 Edward G. Macomber was elected the first Chief of Police under the new ordinance. 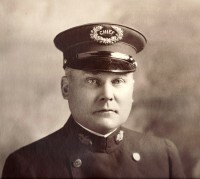 Growth of the Police Department took place between 1904 and 1905. 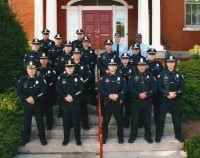 The Council, because of the increased appropriation made by the Annual Town Meeting, employed an additional Police Patrolman. 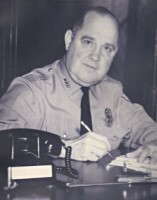 The Chief of Police was assigned to day patrol duty with three night patrolmen. The Council appointed Police Constables, to serve without pay unless assigned to special work, The pay of a Police Officer was $2.00 per day. 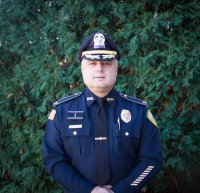 Since it was established in 1905, the Warren Police Department has grown to a force of Twenty four (24) full time Officers and six (6) civilian employees serving under the present Chief of Police. 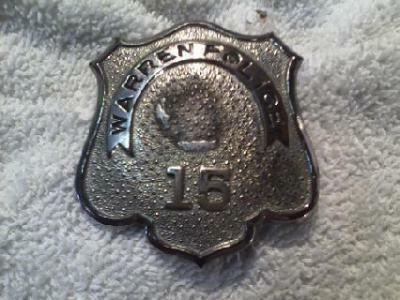 The first Warren Police Depart-ment Badge from the late 1880's. 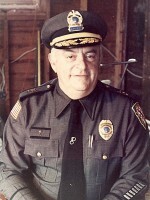 The "G L" is believed to be the initials of George Lonergan, one of the first Police Chiefs in Warren. 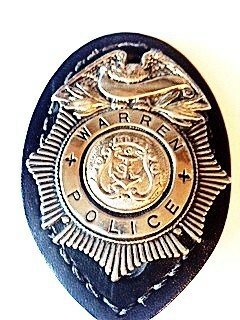 Pictured is a WPD badge, worn by "Patrol Officers," Chief Pratte selected this badge to be worn during the 1960's. This photo was taken in 1948 at the intersection of Child Street and Long Lane. 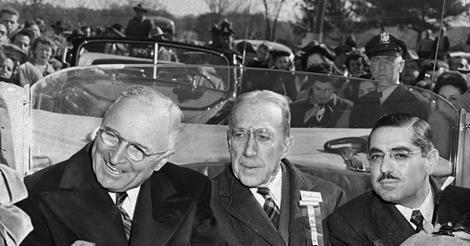 This was during a presidential campaign stop by President Harry S. Truman. Seated in the car with him are R.I. Senator Theodore Francis Greene and Governor John O. Pastore. Directly behind Pastore is Warren Police Patrolman, Howard Eaton, who later was promoted to Captain. This was the last time a sitting President ever visited Warren. 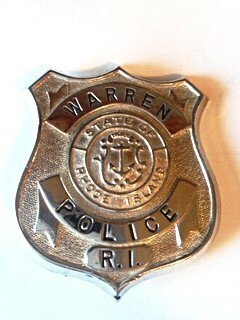 WPD badge, worn by "Special Officers" also known as reserves during the early 1960's. 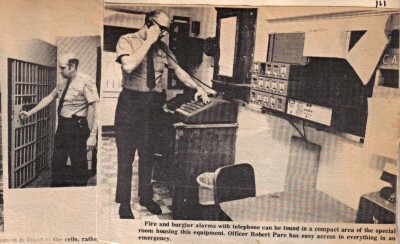 This is an old newspaper article showing the inside of the old Town Hall Police Station in 1975. 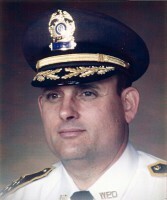 The Officer in the photo is Robert Pare, eleven years prior to becoming Chief of Police. The Old Cells (c1975): Town Hall basement cells, approximately five feet by eight feet. Notice the metal pail on the floor which provided toilet facilities for prisoners. 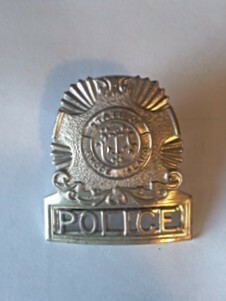 WPD badge, worn by Patrol Officers during the Chief McSoley era. 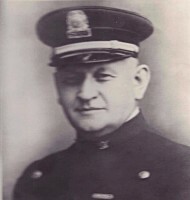 WPD badge and hat badge from the Chief Correia era. Ptlm. 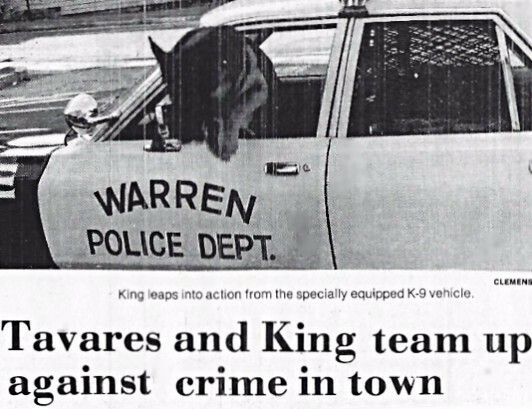 Frank Tavares was the assigned handler for "KING", the first and only K-9 the Warren Police has ever had. This is a news clip from the Warren Gazette in 1979.